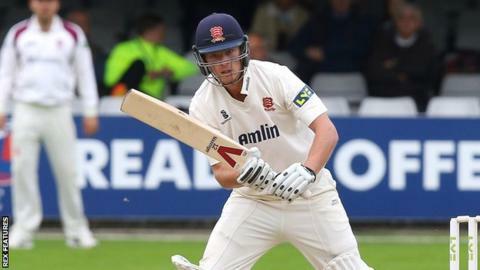 Essex all-rounder Tom Westley has signed a two-year contract extension to take him to the end of 2018, and also been named the new vice-captain. The 26-year-old has played 99 first-class matches for Essex, as well as 45 List A and 34 Twenty20 games since making his debut in 2007. Last season he top scored for the county in the T20 Blast, scoring 384 runs at an average of 38.40. He also appeared for England Lions this winter. Last month, Essex named Ryan ten Doeschate as their new Championship captain and Ravi Bopara as limited-overs skipper. "There's been a lot of positive changes being made around the club over the last three or four months," Westley told the Essex website. "Working with Ryan and Ravi, I've got a good relationship with both of them, and have played with them both for a number of years now. "If they need help or support, or some suggestions, then I think that is my role. Also, I think I can be a bit of a go-between for the captains and the rest of the players."